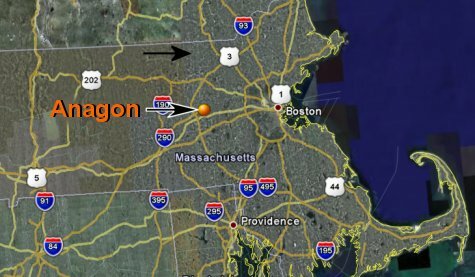 Anagon headquarters is in the heart of New England high technology, located midway between Boston and Worcester at the intersection of I-495 and I-290. At first lights, take a right onto Fitchburg Street. Proceed 0.5 miles then take a sharp right onto Pleasant Street. Proceed 1.0 miles then take a left onto Ordway Road. Anagon is at 11 Ordway Road, sixth on the right.